A lot has already been written about Agile project estimation, and people practice task size estimation to varying degrees, as knowing how long your tasks will take helps achieve a better control and understanding towards the project’s delivery. Kanban is a bit deferent in terms of estimation since the items suppose to be close to being in the same size. Estimation in this sense is having our items closer to the size we can achieve them. There are many techniques that you can apply, and of course, arguments as to why each one is obviously the best. I think that sometimes we can agree that we cannot avoid estimating/sizing our features and our tasks for a software project that has a budget, time line and content. We all know that estimation is a complicated thing to do, and that we learn how to get better at it by making lots of mistakes along the way. We also know that our estimates are probably wrong most of the time (at least at the beginning) and the best way to deal with it is to develop a continues improvement thinking of how to improve our time estimations, and of course, how to manage the inevitable delays. but we do know that when working on a 'small' size tasks is a good start for achiving them and the entire project delivery. So how, you ask, do you balance task estimation with the limitations when using Agile and Kanban for ourselves and inside our family? The answer is, of course, “it depends”. Using Agile and Kanban at home is a bit different when it comes to estimating tasks. After all, can we expect our kids to estimate the time it takes them to tidy their room or to have their homework done? And should we even ask them to? but we can work on an achivable size of tasks. In cases when we have set budgets and time-lines, it’s probably best to try to estimate our tasks as best as possible. Grading exams, or working on a university seminar are good examples. I’d even toss in a burn-down chart, but that’s a different discussion. Appointments and meetings could also be a good project to estimate your tasks for - A meeting takes 45 minutes, and I make sure I have a 15 minute break between meetings. So I can have five or six meetings a day, and still make sure that I have a break. But do we need this level of estimation for kids and family chores? No. You don’t. There are other ways to get things done and still be able to size them to fit our needs. In my opinion Estimation is not so needed in Kanban since the items suppose to be closed to being in the same size. Estimation in this sense is having our items closer to the size we can achieve them. Its all about identify this ‘size’. Here is a nice technique, often used in verity of software projects, that will help you size your tasks so that you’ll be able to achieve more. 1. Create your backlog and visualize it. Visualize whatever you need to do. 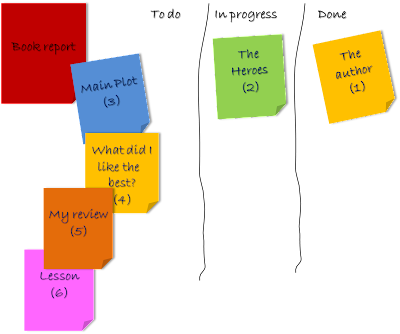 Once all the tasks are on the board, tasks become easy to manage and size. It also becomes easier to understand the size of the tasks one against the other. 2. Use three types for a rough estimation. The ‘sizing estimation’ in this step acts as a big container allowing us to identify and separate tasks into different chunks. you can create a column for each size, or give each size a different-colored sticky. Now, ask your child to size his tasks according to what he thinks and place the in the Right column on the board. What is a big task? What makes it big? Compare tasks to understand how the child sees the terms of 'big' and 'small'. 4. Once you have all the important tasks, divide big tasks into smaller ones. 5. Stick to the small-medium tasks and prioritize your tasks. 6. Pick one or two tasks, and off we go. 7. Not everything at home needs to be estimated. In fact almost everything does not. For example: let's say we have 2 days to complete learning to a math exam. Then the estimation may be a rough one: what is supposed to be done in the first day and what is our child expected to finish in the second day. 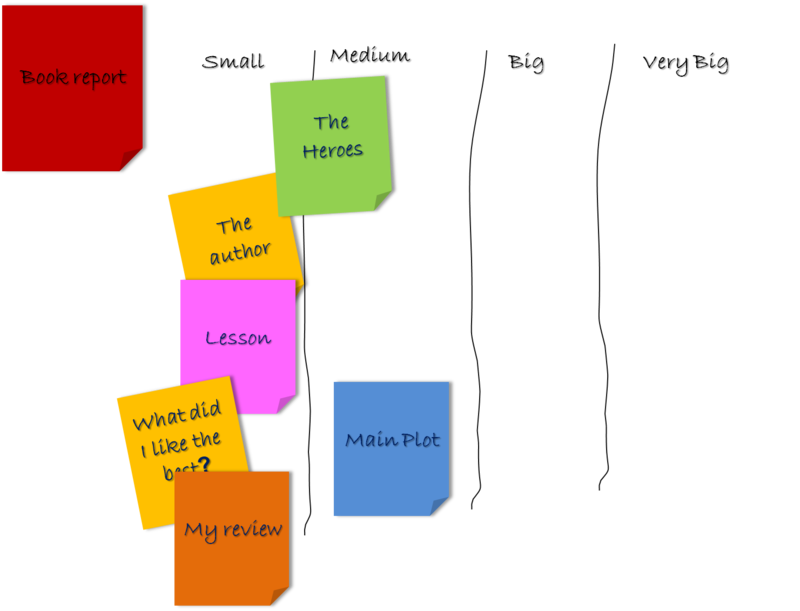 We can then discuss each task and try to understand if it's in the first or second day. We can then use rough estimations for tasks that we think will need it. So try to keep things simple . Rough estimation may be "just enough" at home with our kids: whenever we have a big task to do , let's examine our needs, divide it to smaller tasks to the size of 'just enough'. Remember, we are dealing with kids not hi-tech employees. Visualization works for them much more. The same goes for colors, and playing games, and the fact that we parents are involved makes it even better. They love being with us, and they love it when we listen to them. 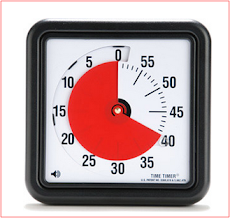 So, while this simple technique will help them learn how to estimate task sizes, and stick to what is really important to do without the burden of time pressure. And as always , keep it simple , and don't forget to have fun along the way. 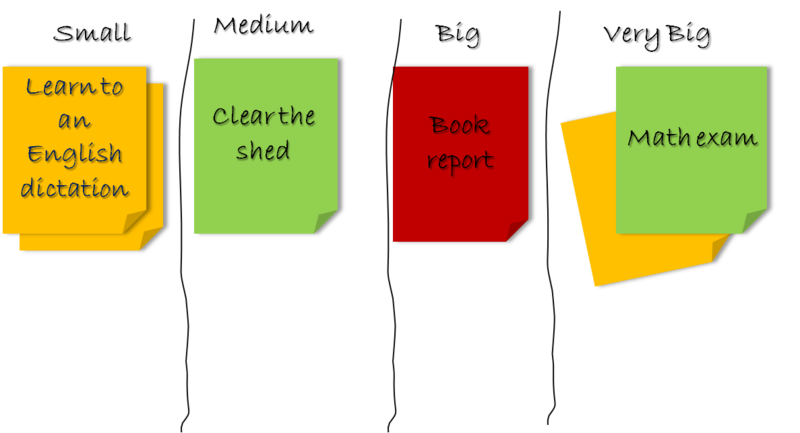 Homemade Kanban - How to make it last?